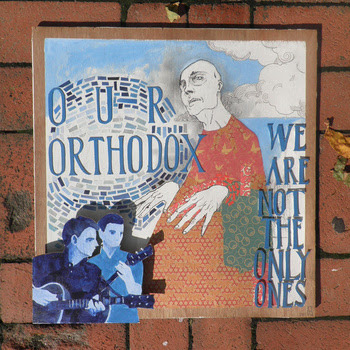 Our Orthodox is a recording project by Neal Harris, a Pacific Northwest native transplanted in Los Angeles. Its latest album “We Are Not The Only Ones” is available now on the bandcamp. The album was recorded at his friend’s studio, The Kitchen in Atwater Village. Neal describes that some significant influences on his sound are The Walkmen, Girls & Okkervil River. All songs performed by Neal Harris & Jens Kuross. Produced by Neal Harris & Jeremy Carberry (Lost Ship Recording). by Jacob Bruggman (of The Good Wives). Album art by William Schaff who’s been well known for the Okkervil River’s art works and also he worked for the previous Our Orthodox self-titled album (2010).